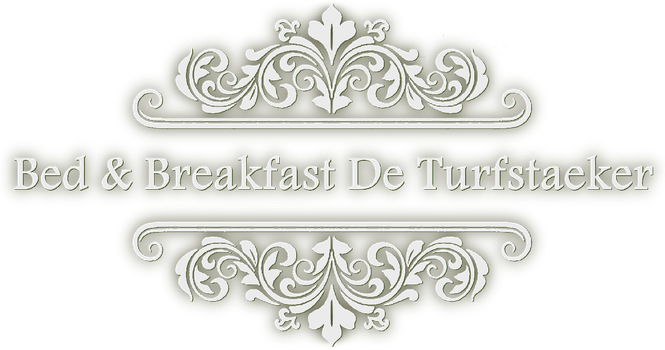 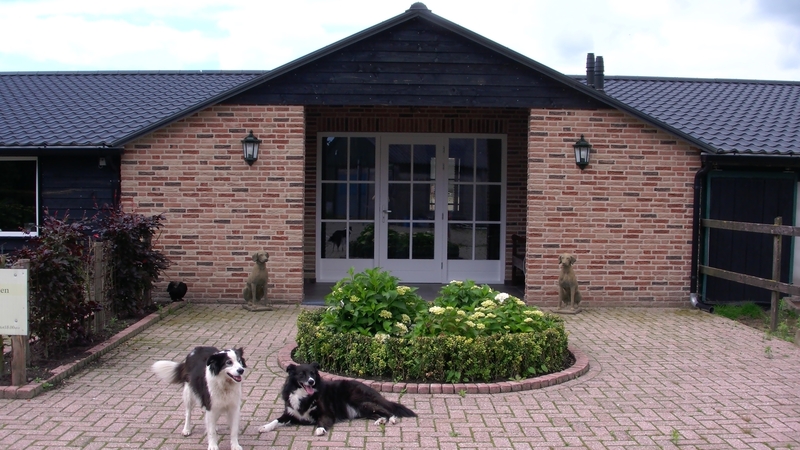 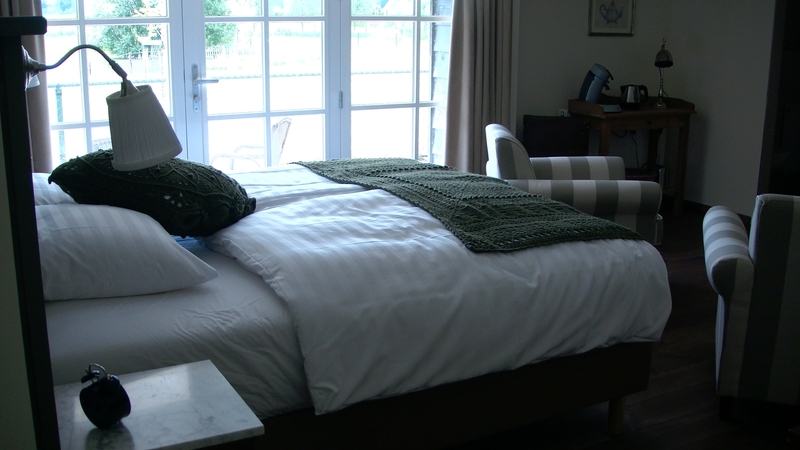 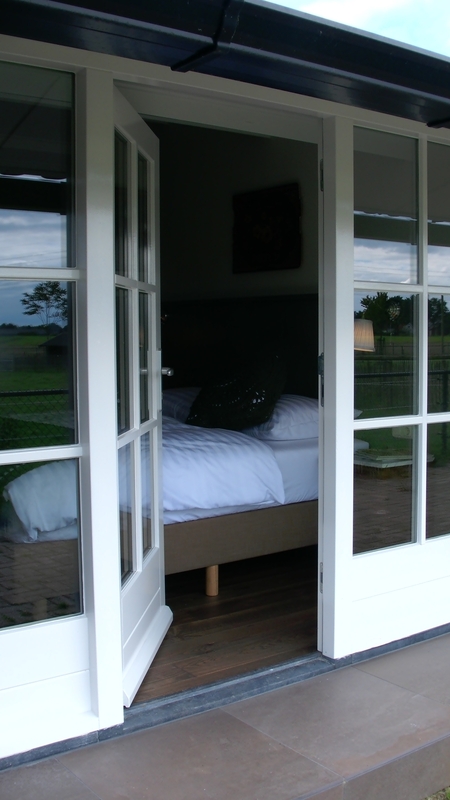 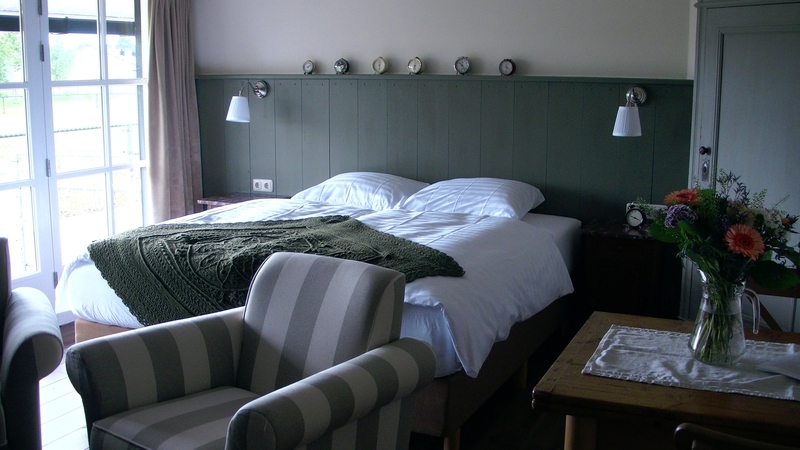 Bed & Breakfast De Turfstaeker offers you two spacious double rooms with a panoramic, green view of the surrounding countryside. 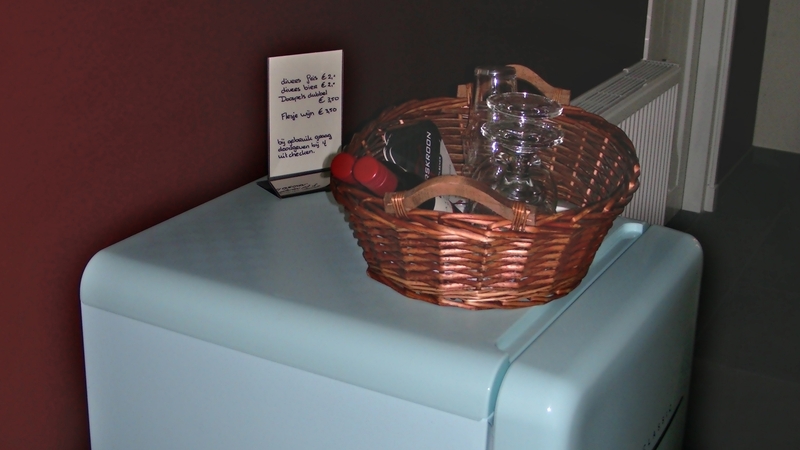 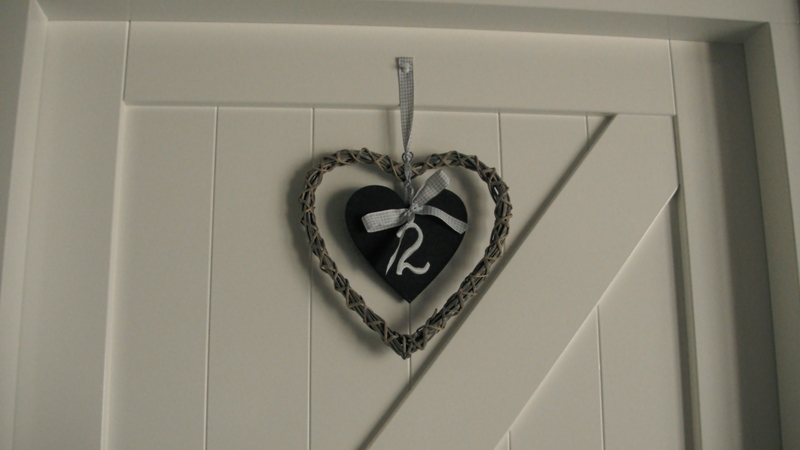 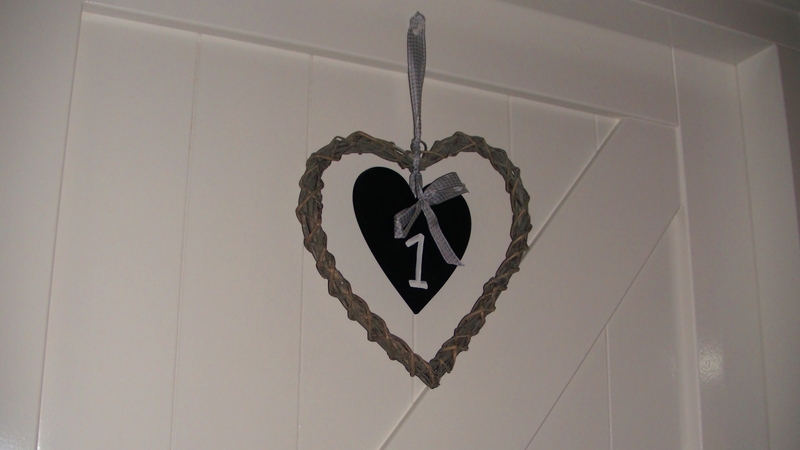 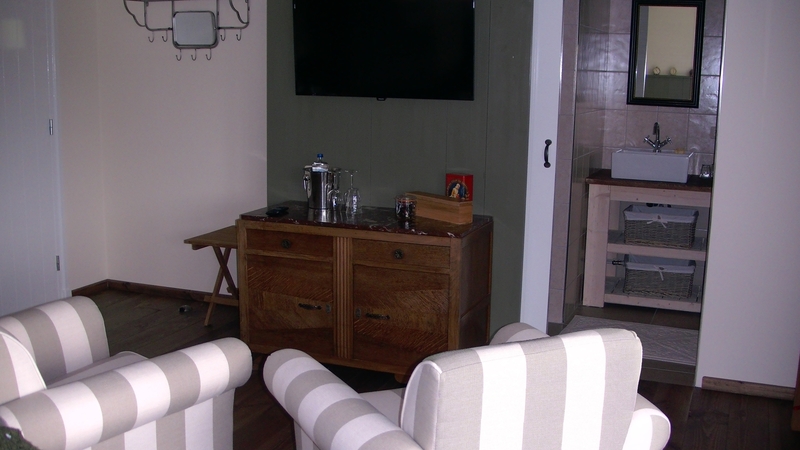 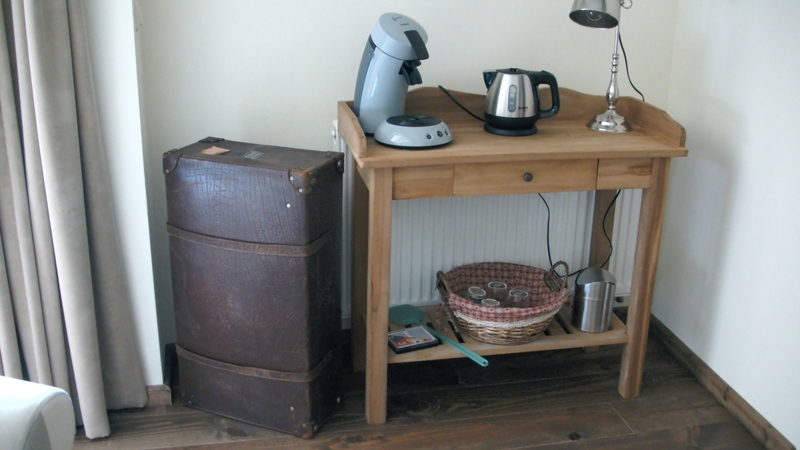 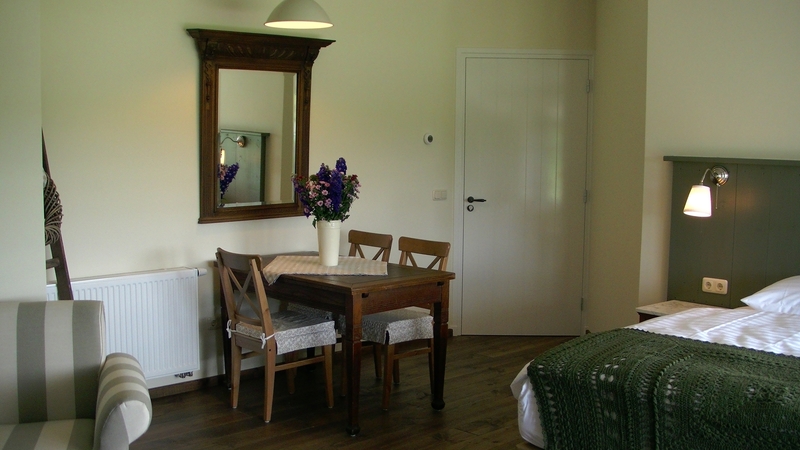 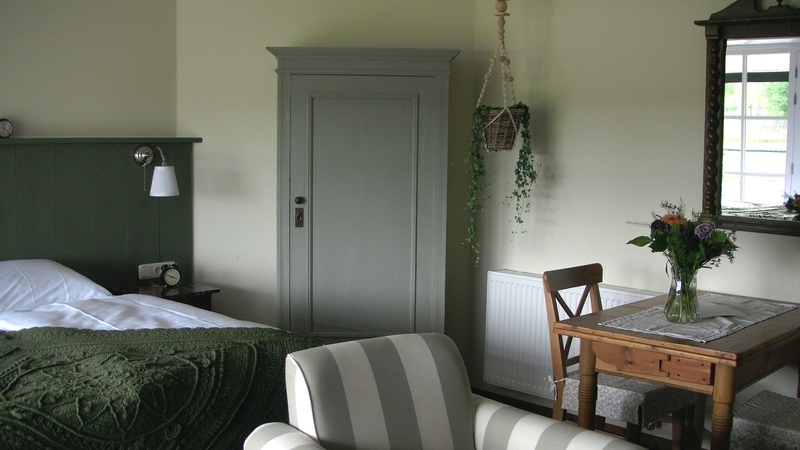 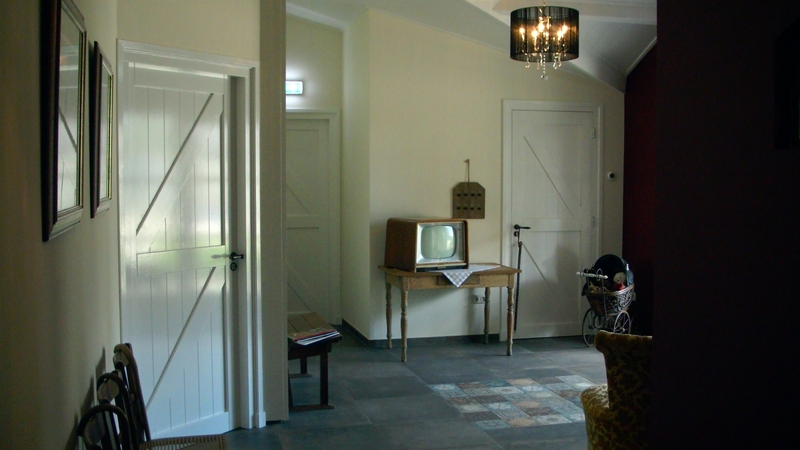 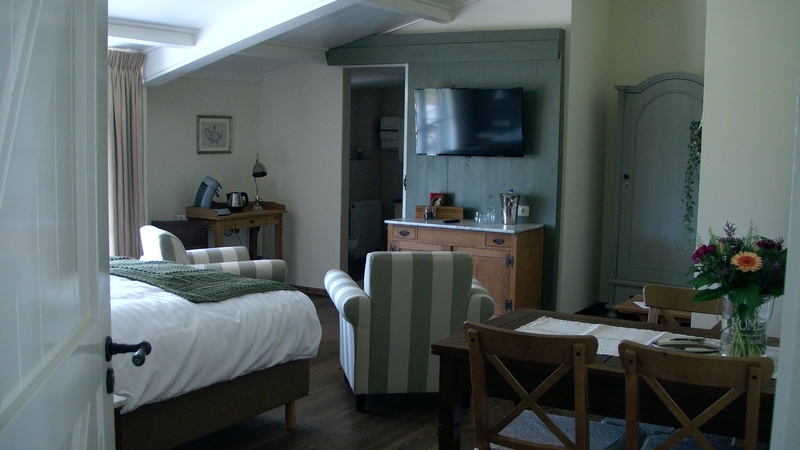 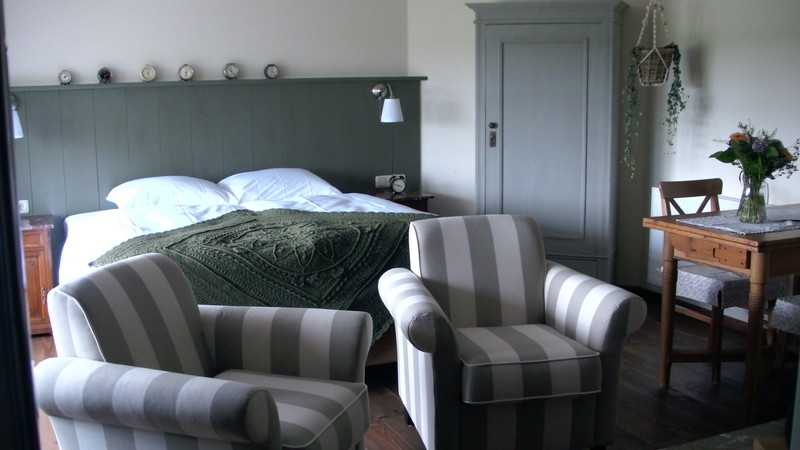 Our rooms are decorated in a rural and cosy style, with a relaxing colour combination and lots of nostalgic details. 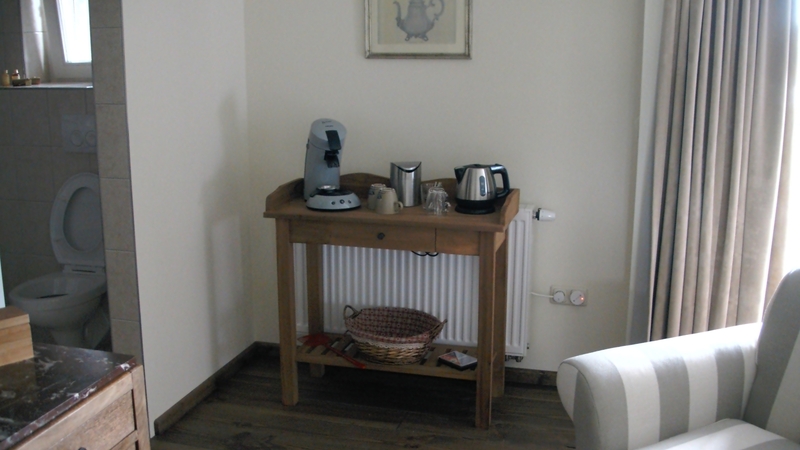 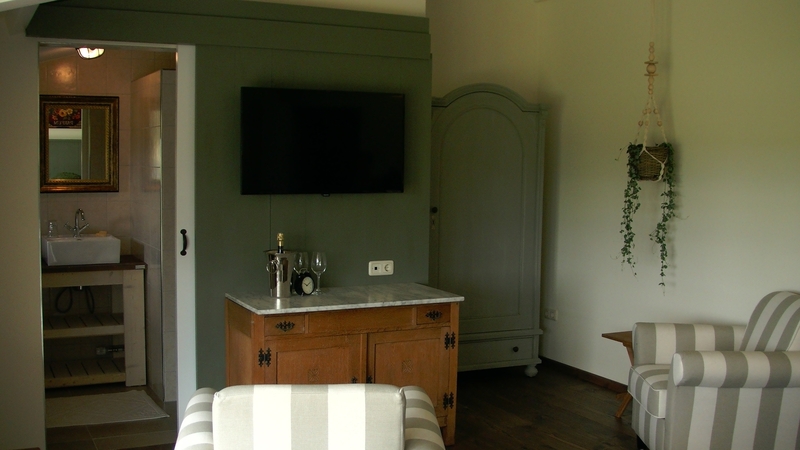 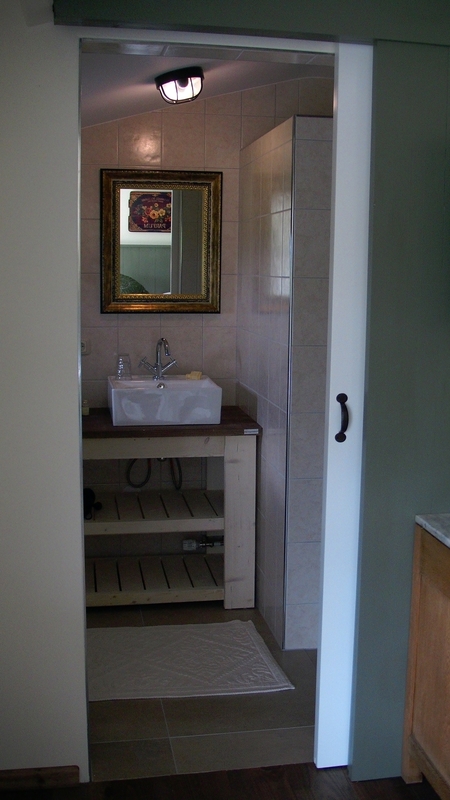 Both rooms have their own bathroom with shower, washbasin and toilet, as well as a cosy place to sit with two comfortable armchairs, a television, a (dining-)table with two chairs and a wardrobe and cabinet for your clothes and personal belongings. 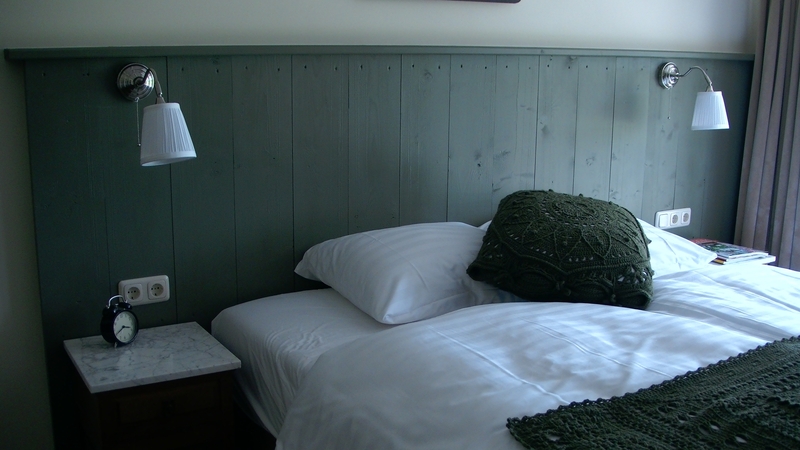 The double beds with delightful, high quality boxsprings guarantee a salutary night's rest. 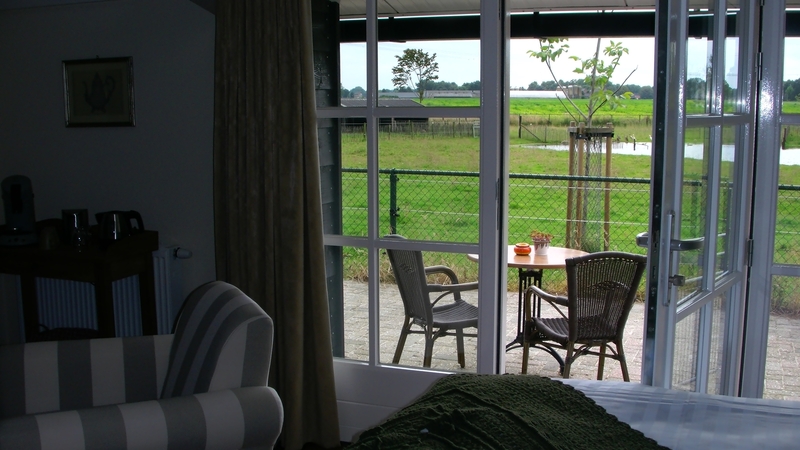 To top it all off each room has its own outside terrace where at night - with a bit of luck - you can enjoy a beautiful sunset! 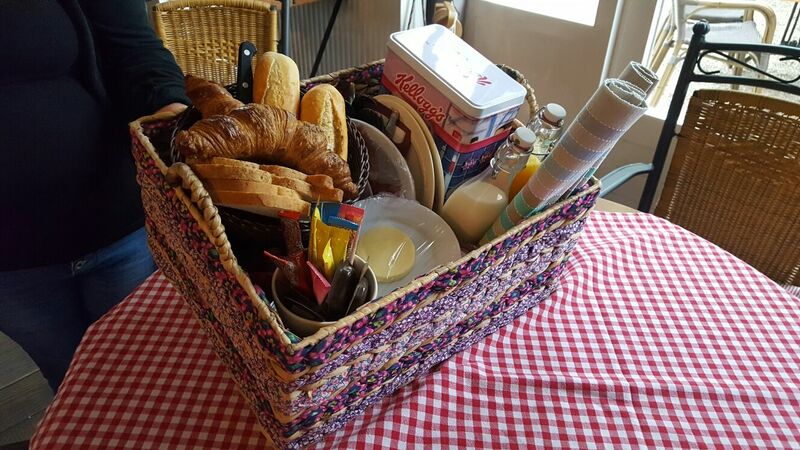 Each morning you will be served an elaborate, delicious breakfast in your room at your preferred time (between 7.00 and 10.00 am). 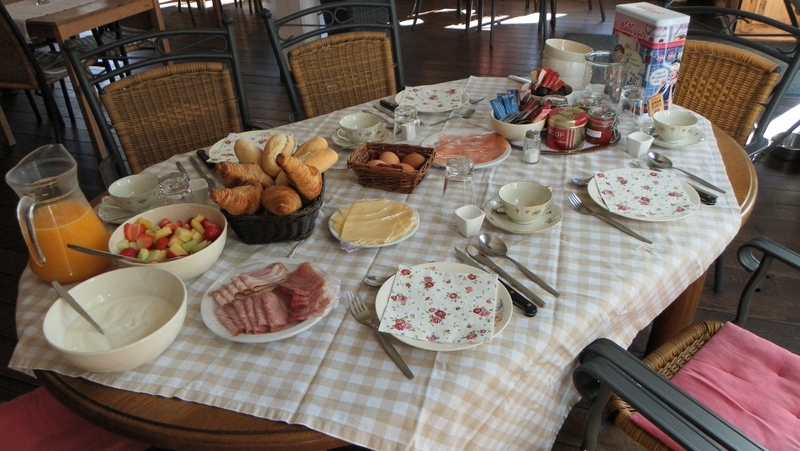 In case of four persons we can also arrange your breakfast in our cosy breakfast room. 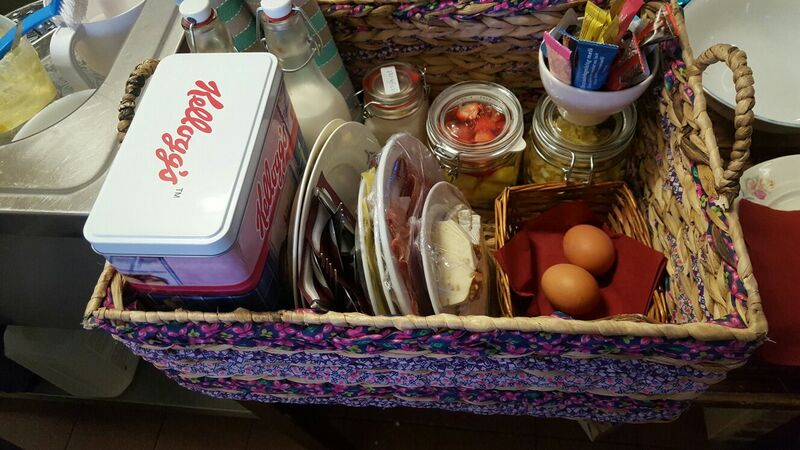 We are very happy to prepare you a packed lunch as well (not included in price), if you so wish.